8" Ground Socket for Driving Range flagsticks. 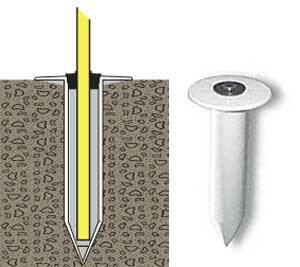 You do not have to use cups, cement or any other system now that you have the simplest tool available to keep you range flagsticks standing straight all day, every day. Innovative design is mower safe. 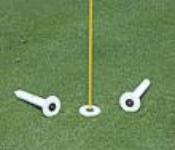 Instead of throwing your old sticks away- simply cut off the ferrules and now use them on the range.